Piso Fare Promo 2016: Tired of waiting for Piso fare promo 2016? Don't be! 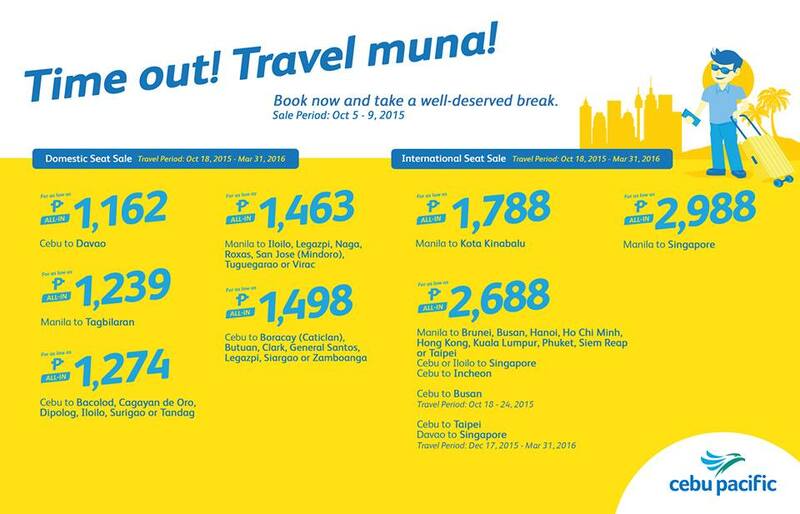 Cebu Pacific is currently offering cheaper fares that you can avail! The fares are really affordable. You may check with your calendar for 2016! It's about time to take a break and fly your wary to relaxation! You have a lot of options to choose from. Check out the different domestic and international routes that are on promo! Visit Tagbilaran, Bohol and check the tarsiers! The smallest primates in the world!